Senate President pro tempore Orrin Hatch, a conservative, on Wednesday proposed legislation which encourages research into the use of medicinal cannabis. It’s a shock – but of the best possible kind. Senate President pro tempore Orrin Hatch, a staunchly conservative Republican from Utah, of all places, on Wednesday, proposed the Marijuana Effective Drug Study Act of 2017, legislation that encourages research into the use of medicinal cannabis and makes it easier for researchers to get marijuana for testing. To be blunt, we need to remove the administrative barriers preventing legitimate research into marijuana, which is why I’ve decided to roll out the MEDS Act. Yes, those are actual puns in a medical marijuana press release from a conservative Senator. “High time”? “Delving into the weeds”? “To be blunt”? You’re killing me, Orrin. Now all puns aside, it will surprise no one that I am strongly against the use of recreational marijuana. I worry, however, that in our zeal to enforce the law, we too often blind ourselves to the medicinal benefits of natural substances like cannabis. Attorney General Jeff Sessions has repeatedly made threatening noises about enforcing federal law. He wants to crack down in states like Washington and Colorado that have made cannabis legal. He also has belittled the effectiveness of medical marijuana. Sen. Hatch’s involvement is a big surprise, because he’s always been so conservative. As a practicing member of the Church of Jesus Christ of Latter Day Saints (the Mormons), Hatch certainly isn’t known for taking progressive positions on controversial issues. Republicans have previously voted down attempts to increase research into the medical benefits of cannabis and have supported the federal classification of weed as a Schedule I drug. That means, crazily enough, that the U.S. federal government officially considers cannabis just as dangerous as heroin. And it means that marijuana is considered to have no medical benefits, despite a mountain of scientific evidence to the contrary. 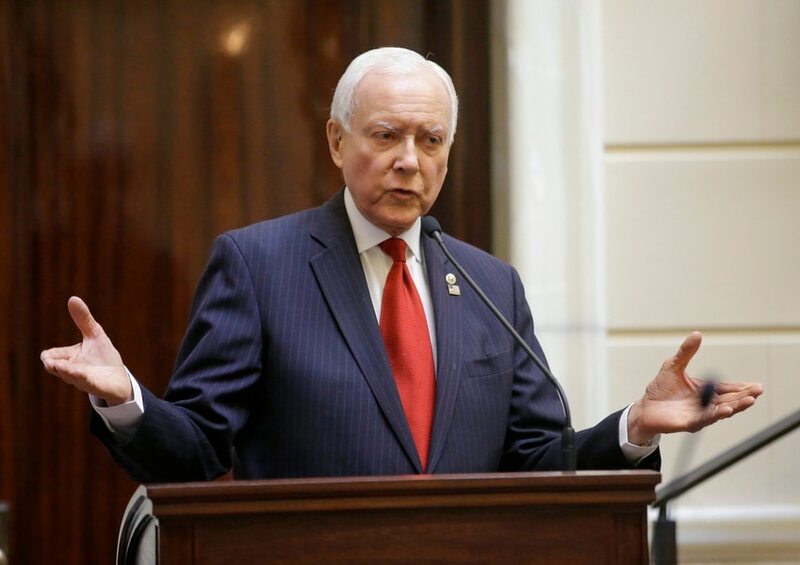 Hatch may have been influenced in his new stand on medical marijuana by former Utah Gov. Jon Huntsman Sr, a wealthy industrialist who invented to styrofoam clamshell packing for McDonald’s burgers, according to The Salt Lake City Tribune. Hatch’s initiative follows a televised interview from July during which four-time cancer survivor and philanthropist Jon Huntsman Sr. said he is a ‘very strong advocate for marijuana’. Some political observers believe that Sen. Hatch’s new political boldness is a sign he may not run again. Not having to worry about his conservative constituents re-electing him would free him up to do some things he might not have done if he had to face those voters again. A recent poll indicates that 79 percent of Utah voters support medical cannabis. That’s another possible source of courage for Hatch. And while Hatch now seems willing to soften his position a little on marijuana, keep in mind that he still favors Trump’s drastic cuts across federal medical and health services. Those are likely to have a devastating effect on public health for years to come.